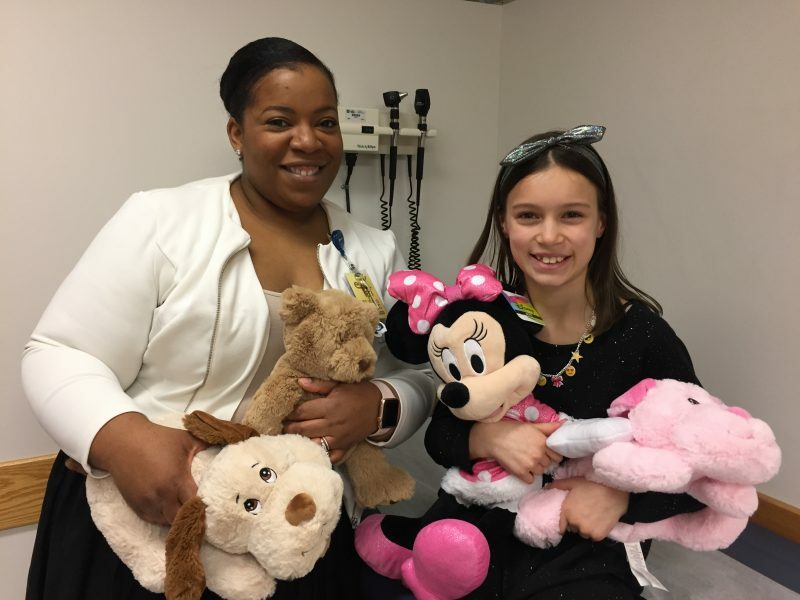 Stella Miller, 10, collected and donated 215 bears and other stuffed characters of all colors, shapes and sizes to the hospital before her appointment with Dr. Chinasa Nwankwo. Stella Miller knew things felt scary and uncertain when she began having seizures and was undergoing testing for an eventual epilepsy diagnosis in August of 2016. The then 8-year-old was in the hospital for an EEG and overnight stay and, then suddenly, a small rainbow-colored Beanie Baby given to her by a nurse brought her great comfort. Once she began treatment and learned more about epilepsy from Dr. Chinasa Nwankwo, a pediatric neurologist in the NeuroDevelopmental Science Center, normalcy slowly returned to her life. Meanwhile, Stella’s mother, Andrea Jenkins, had a heart-to-heart talk with her about some of the fear and anxiety she had been experiencing. That talk became the seed for Stella to launch “Team Stella” at her school, W.S. Stinson Elementary in Northwest Local Schools. Stella with her mom, Andrea, and stepfather, Miguel. At the start of her second year, Stella, now 10, set a goal of 200 teddy bears. 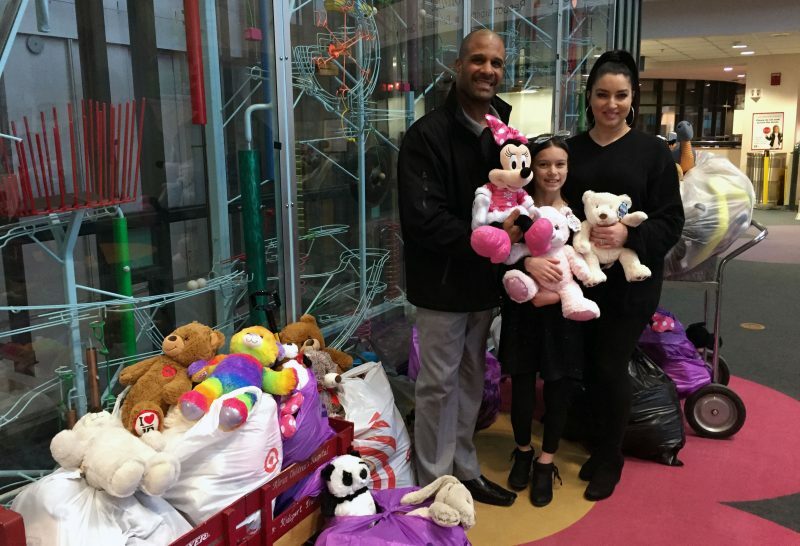 Her goal was exceeded as Stella, her mom and stepfather, Miguel, delivered 215 bears and other stuffed characters of all colors, shapes and sizes to the hospital on Wednesday morning before her appointment with Dr. Nwankwo. Stella proudly poses on Dec. 16, 2016, with 100 stuffed animals from her first donation drive. Niles boy with leukemia flies high as "Pilot for a Day"